My first app (as in "not a game") that will be soon published to the Google Play Store. 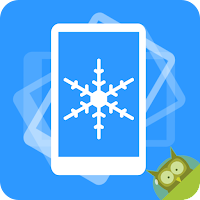 A simple tool to toggle auto-rotate screen and in case the screen is locked, shake to rotate the screen to desired orientation. I created the app to learn more about programming for Android. My intention was to learn about the accelerometer, notofications and background services and this is an app that combines all three. It's still in beta test phase but if you want, you can help testing it. The app comes with source codes. Read the README.md, the app uses one library.